The one thing that all people on this earth have in common is stress. FACT, there is no getting away from it, stress at home, stress at work, stress with bills, stress with children etc. BUT, either way, it doesn’t help you if “your body” is on a constant mode of fight or flight response. In short you’re in constant stress that can lead to depression, burnout and DISEASE. 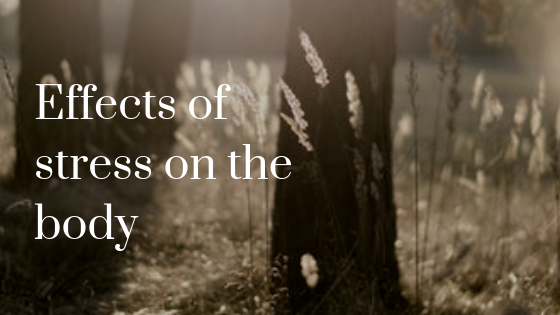 There are many different forms of stress which can have a negative effect on the body and which leads to in my opinion many of the diseases we see today in modern society. For example there is physical stress which can come from an accident or a sporting injury. There is an emotional stress which can come from something like a divorce, loss of a parent or sibling, bullying at school or even in the workplace. There is spiritual stress, this is where a person can have lost faith in a god or humanity because something traumatic has happened in their lives and they start to blame the church for their misfortune. Either way all these forms of stress lead the body into a state of disease and there’s no way on this god’s green earth that any form of medication is going to help deal with the symptoms of disease that stress brings on. There is one thing I have noticed in my clinic over the years dealing with people who suffer with chronic pain or a chronic disease is that there is always a root cause and usually nearly always an emotional root cause. Especially in the cases of diseases such as chronic fatigue syndrome, fibromyalgia, rheumatoid arthritis, osteoarthritis, and cancer to name but a few. The one common trend with this type of patient is that they have all had some form of stress in their lives. In a large amount of these patients on deep questioning they would mention physical or emotional traumas which would have occurred to them in their younger years or in some cases in the latter years. I would hear tales of abuse from a family friend or relative, stories of bullying as a child be it at school or in the home, alcohol abused by a parent or parents, lack of love and affection in the home be it by parent or siblings, the death of a parent or even a pet and the list could go on forever. Any of these incidents or similar ones in a child or adolescents life is going to create a huge amount of stress on the person involved and can lead to manifest in physical disease in the future. Especially if that person is of a sensitive nature they can spend years reliving these emotional. Sometimes physical traumas and the sad thing about many cases is that they have never shared these traumas with a friend or a loved one and just continue to live their lives holding onto these feelings. Which can be feelings of of, guilt, remorse, sadness, bitterness, anger to name but a few. When we spend our lives living with these emotions they create unleveled parallels of stress on the body and mind which over time will, and i guarantee it lead to disease. When we hold these emotions in it puts the body in a state of stress which in time will affect the organs and their functions,hence you will see people with digestive issues, heartburn, chronic back pain, chronic joint pain, frozen shoulder, diabetes, headaches,insomnia and the list goes on. So imagine if you are stressed, and let me clarify I am just talking about emotional stress here not physical or a possible dietary stress. It will have an effect on your visceral organs which can lead to disease. If the organs are not working correctly the will refer pain into the body’s extremities and internal organ disorders. So for example a dysfunctional kidney will lead to back pain, pain in the bones, increase ageing, dysfunction of the liver can lead to high levels of stress. Sinus problems, problems with the eyes, and problems with the spleen can lead to sugar cravings, bloating, fatigue and loose stools. These are just a few examples of what happens when stress affects these vital organs, this is why when people have these conditions and have all the tests done and they all show up negative is because the stress has caused the organ to not work correctly. Not a disease or physical condition, although in some conditions this could be the case, that’s usually caused by a physical stress. So if a person can learn how to deal with emotional stress they will by themselves, heal themselves but first they need to recognise their stresses and eradicate them. Of course this will be a journey and one should not expect overnight results, but if they stick to what I advise you will see results within a matter of weeks. Take care of your self and well-being- what I can guarantee is stress, can cause ILLNESS. I want you to lead a healthy lifestyle to prevent this outcome from happening. If you have questions- feel free to reach out anytime.